Could you imagine life without legs and arms? It’s next to imposable to survive on the earth without it. However, An Australian born Nick Vujicic has made it possible without his legs and arms. Nick believes that anything could be achieved in life if you have a certain goal and strong will to do. He used to say that if you fail, try again and again to full fill it. As the movement you give up is the movement of fail so never give up on your success. He has a bubbly personality. Today he is inspiring millions of people around the world by his speech. 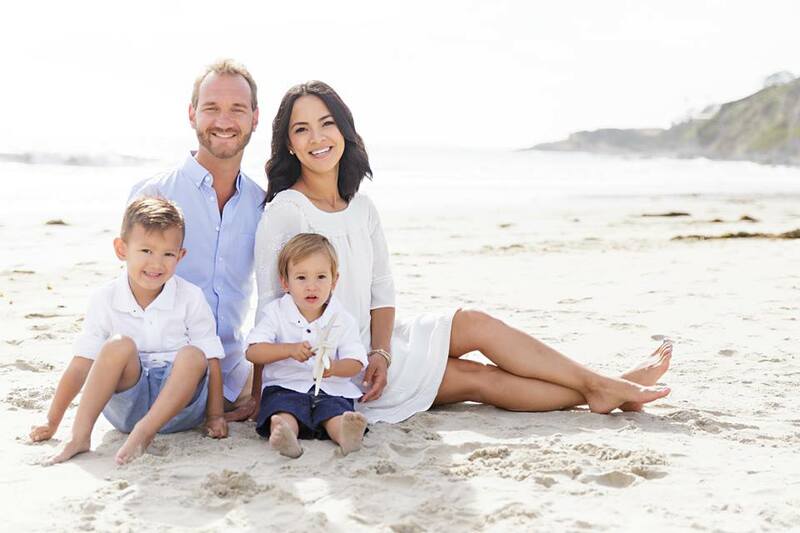 Who is Nick Vujicic? Nick Vujicic born in Australia with a rare type of disorder called phocomelia on Dec 1981. he born without a limb (No arms, No Legs). Due to physically challenge his home state law was not allowing him to go to mainstream school. After a few changes in state law, his parent tried for admission in school and he got admitted into a state school. But here all the student bullies him because he has no arm and no legs. Now Nick had disappointed and he was in depression. Nick was not willing to live, and tried suicide by drowning himself, but his parent had prevented from this. One day he thought that God has some plan for him and he will not suicide. His mother shown a story in the local newspaper about a disabled person that how that person was living a happy life without any problem. That day Nick has decided that he will do something in life. He stands up tried every possible way to make his life better. Today he can work on the computer, throw a tennis ball and many more things he can do. In 2008, he moved to the USA. He met with Kanae Miyahara a Japanese girl. Later he married her in 2012 and today they have 4 children. Always be positive in life as you read above how a disabled person can survive his life and live life by his own way. Maybe God has given everything to you but you’re pointing your negativity and you are disappointing. Related Topics:Motivational Speaker AustraliaNick Inspirational SpeakerNick Vujicic BiographyNick Vujicic Life StoryNick Vujicic Speech QuotesWho is Nick Vujicic?